McGee has delivered an inspiring day of classroom based learning, discussions and observational learning opportunities for one group of students from the Dallaglio Foundation’s RugbyWorks Programme – which exists to nurture and develop essential skills of disengaged young people aged between 14 and 16. Welcoming the students to one of their major London demolition projects, a key objective for the day was to inspire and proactively encourage the students to consider a career within the construction industry – which they may have previously disregarded, or possibly not even thought about before. 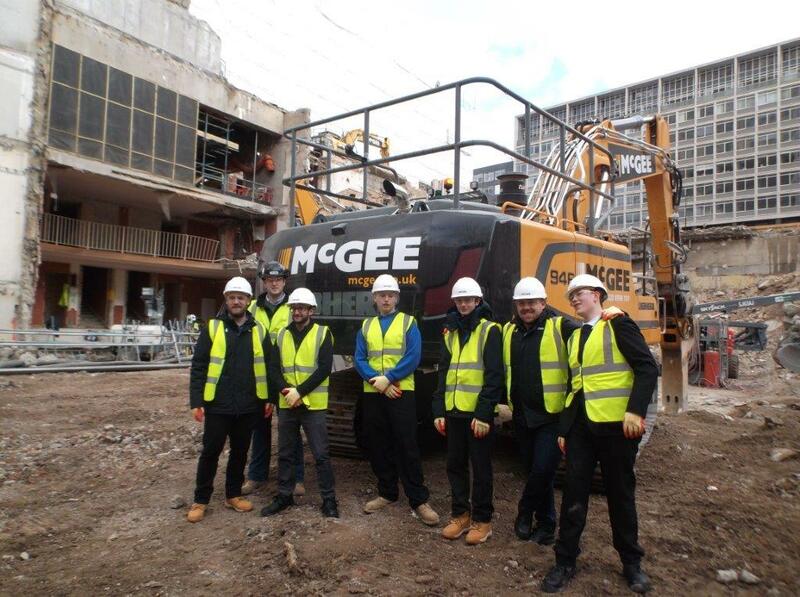 The students learnt about the broad range of developments currently underway at McGee and the vast input it takes from all of the different teams to get a site ready for demolition. Located on the South Bank of the River Thames and just a stone’s throw from the famous London Eye, an hour long tour of the live project site involved observing all of the different aspects of the site and the wide array of job roles involved in the project – from Banksmen, Lorry Drivers and Machine Drivers to Site Supervisors and Health & Safety personnel. The day concluded with a workshop about possible career paths available within the industry and included hearing from someone who had climbed the ladder to Site Supervisor; demonstrating to the young people how hard work and commitment can reap a rewarding career in this exciting industry. To find out more click download below.